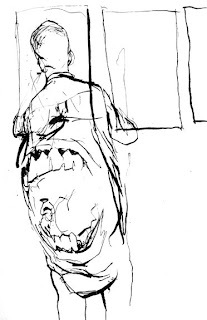 I'll throw up sketches this week that will be in the Mikanno book. After San Diego, Mikanno should become available on amazon. Great! Another Mikanno book. I have the first one and love it. Was hoping for another one. Definitely going to get it. Also, tell Kent Williams to do another @Random. Same here, also, i thought Deadirons #4 was some of your best work yet. terrific!